2 Day Class – Facial Rejuvenation Acupuncture. Taught by Michelle Gellis AP LAc DiplAc. 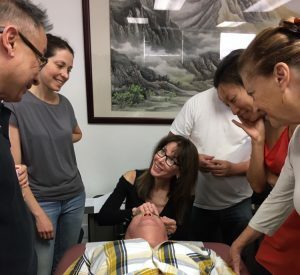 This two-day CEU class covers Facial Rejuvenation Acupuncture Theory and Acupuncture Needling Techniques and Protocols for Cosmetic Acupuncture. 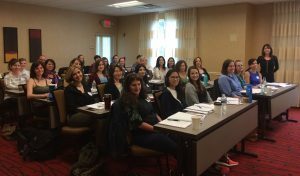 This is a facial acupuncture certification class for American Acupuncture Council. Hands-on skills such as submuscular and intradermal needling and techniques for needling the scalp, face and body points are practiced in a small class setting. AcuLifttm Micro-needle Dermal Roller training is part of class. The Traditional Acupuncture Facial Rejuvenation Class has been approved by the NCCAOM for 14.5 PDA points (CEUs), and 14 Florida CEUs and 14 California CEUs. All materials needed for class are included. The skills taught in this class will be immediately applicable in your practice. Acupuncture Facial Rejuvenation Certification Class provides lectures on: Facial Rejuvenation Theory, Technique and Point Selection, Needling Technique. Paperwork and supplies are included. The class is a hands on class* with an internationally published expert in facial acupuncture, small class size. Information on aging. You will recoup the cost of this with your first patient.